A common problem that occurs in sewer lines is the buildup of roots within the line, which blocks waterflow. This invasion occurs when plants’ roots are looking for water and end up working their way into tiny cracks or openings in a pipe. Obviously, this creates a problem for your clients, resulting in drains being clogged and lines not running properly. If left on its own, roots can cause the line to break, meaning it will have to be dug up and replaced. You can root out most root problems with a drain cleaning machine paired with an attached blade to chop up these roots and clear out the line. 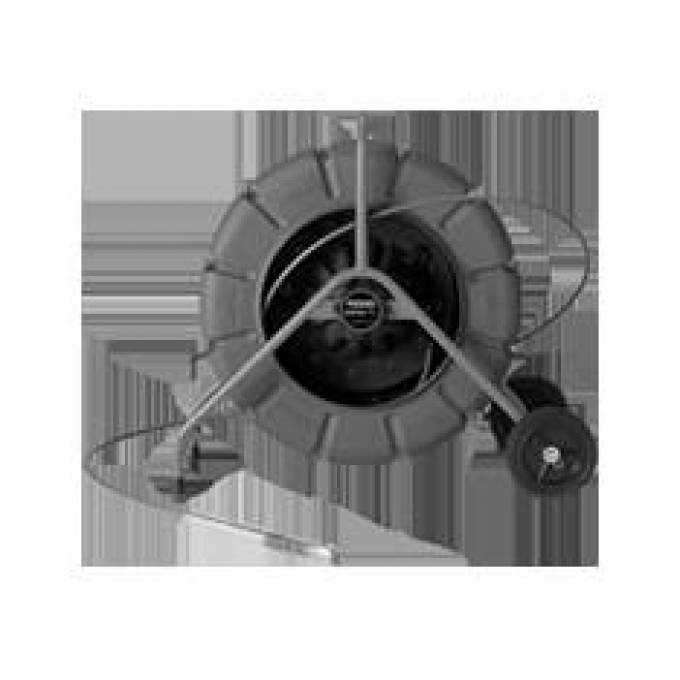 Some of the toughest and most reliable machines and blades that you can consider using are manufactured by long-time drain cleaning company Duracable. Duracable Manufacturing is the place to go for your Sewer Rooter Machine . They have several different machines and blades that can service most any line, big or small. The sled and upright machines are ideal for the bigger jobs where roots have invaded the pipes. Sled machines, the original style of machine used, range in size at Duracable. For the toughest, biggest jobs, their DM55 machine is what you’ll want. It can clean lines that range in size from 2 inches to 10 inches. Its unrivaled torque and horsepower will make powering through those roots a breeze. Able to operate both horizontally or vertically, the DM55 can get any large job done. And transportation will be easy with its pneumatic tires and stair gliders that make bringing the machine up and down a set of stairs easy. Their other smaller sled machines are just as reliable and versatile. If you prefer using an upright machine to clean lines, Duracable has you covered there, too. Their DM162 machine gives its user the power and maneuverability of a larger upright machine without the additional size and weight found in most other models. Usable on lines of 2 inches to 6 inches, this machine will also work both vertically and horizontally. Its smaller size allows for easier transportation and use, making it a wonderful sewer rooter machine option. For an even more powerful, larger upright machine, check out the DM175. Once you choose a machine to buy, or if you already have one that is suitable, you’ll need a high-quality blade to cut through those tough roots. Duracable makes many top-notch, reliable blades that will get the job done. These blades come in several different shapes and sizes to suit any line or job. These shapes are single, round, pear, elliptic, offset, round bottom, and U-shaped. Their sizes range for use in drains sized 1” to 16.” These blades are also sold in a variety of thicknesses, really allowing you to customize your cleaning job to best fit your needs. They come pre-sharpened, so you can put them to use right away. Duracable is one of the most trustworthy drain cleaning product manufacturers. They are who you want to trust with supplying you a sewer rooter machine. Their machines are of the best quality and so are their blades that will easily rip through even the toughest roots in your line. Visit Duracable.com to view all of their cleaning machines and blades to find what best suits the needs of your business. For more information about Drain Cleaning Machine and Drain Cleaner Snake Please visit : Duracable Manufacturing.